What counts as evidence of harm for those living in the midst of air pollution? 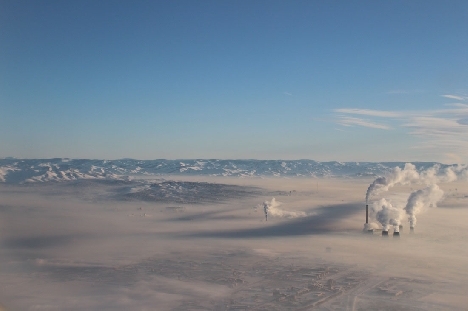 Over the past two decades, air pollution has become a seasonal disaster in Ulaanbaatar, prompting widespread concerns about its harms to human bodies and the environment. These concerns have promoted various investments to document air pollutions effects, from monitoring technologies, to interactive pollution maps, to epidemiological research. Despite these interventions, what counts as evidence of harm remains disputed. Drawing on 18 months of ethnographic field research in Ulaanbaatar, I examine how various techniques of evidence-making  maps that spatialize harm, marketing strategies that mitigate harm, sensory practices that inflict social harm, bodily attunements that detect long-term harm, and body fact building in public health activism  coalesce and compete to identify and construct particular notions of harm. I show how evidence-making of harm must be examined through histories of inequality, hierarchies of knowledge production, and politics of place.